Members of the Hangleton 50+ group discussing their memories of teddy bears, dolls and construction toys. The project focuses on collecting memories of teddy bears, dolls and construction toys from people living in Brighton and Hove. During the first year of the project we interviewed 40 people. The interviews were carried out by the project manager and project volunteers, following training by Spoken Memoirs and Paul Dutnall from Junk TV . We worked closely with Blind Veterans UK and First Base Day Centre to recruit some of the people we interviewed. Portrait photographs were taken of most of the people we interviewed. These were taken by the project manager and project volunteers and were edited by Steven Cragg. He also took photographs of toys for the project, along with photographs to illustrate the themes of the interviews. 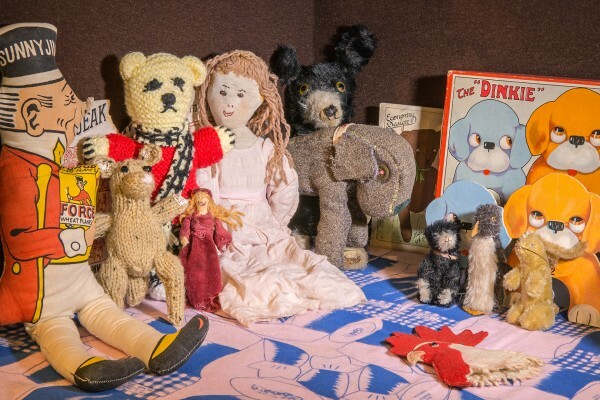 As part of the project we have created a number of reminiscence boxes, which contain a selection of teddy bears, dolls and construction figures from a range of time periods. These form the focus of the project’s reminiscence sessions, and can also be part of the touring exhibition. 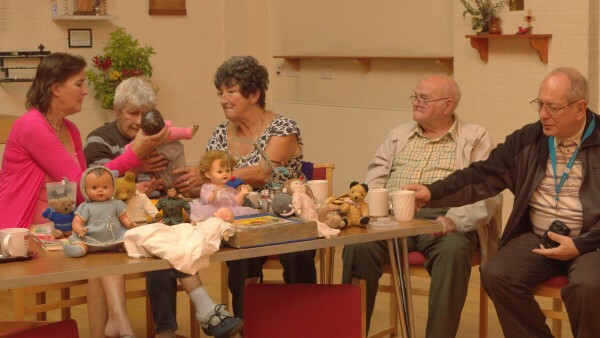 We are running a number of reminiscence sessions with local groups, which enable people to share their own memories of teddy bears, dolls and construction toys, as well as giving them the opportunity to handle the contents of the reminiscence boxes. We have also created a touring exhibition, which displays some of the content of the interviews, as well as photographs. This is currently available to tour venues in the Brighton and Hove area.